Fans of the Maelstrom, the 26-year-old attraction based out of Epcot’s Norway Pavilion, , went into mourning in early October 2014 because the ride has been shuttered to make way for a new ride - Frozen Ever After - based on Disney's hit film Frozen. That’s right, the dark horse fan favorite attraction will be closing early this October to make room for a new ride based on Disney’s hit film Frozen. The Maelstrom, a boat adventure featuring encounters with Vikings, trolls, and more, is one of the few rides in Epcot’s World Showcase and details the history and folklore of Norway. 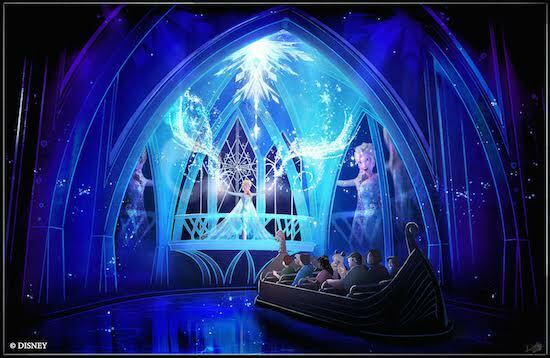 Disney has announced plans to repurpose the Maelstrom’s current home into a new attraction based on Frozen as the film draws heavily on Scandinavian culture and, of course, is infamous for drawing big crowds. The decision has been met with some criticism from many Disney fans who are unhappy to see a classic attraction replaced. Many are arguing that they would have rather seen a Frozen attraction open in New Fantasyland or Hollywood Studios, which is notably short on rides, so that guests would be gaining another attraction and not sacrificing one for the sake of the other. The new home of Elsa & friends, World Showcase, was originally designed by Walt Disney as a place to highlight real countries like France, Mexico and Norway. The fact that Arendelle is not a real place may rub some visitors the wrong way. Adult fans are also distressed to see the Frozen attraction coming to the more adult-oriented Epcot, which has always focused less on Disney animation and more on Walt Disney’s ideals and vision of an innovative, multicultural community of tomorrow. The hope at Disney is that this ride, based on the highest-grossing film of all-time, will help boost Epcot's five-year streak of flat attendance. The ride will shuttle riders in logs through a festival in the fictional land of Arendelle. Riders will be mesmerized as they watch citizens throughout the kingdom celebrating winter in the middle of summer all thanks to Elsa's magical ice-creating powers. Eventually the log will reach Elsa's Ice Palace, where the princess will be singing her would famous song, "Let It Go"
Along the journey through Arendelle animatronic versions of Anna, Kristof and Olaf will make appearances.